London, 24 February 2009 – Roxy Affiliates.com, which has for the past seven years administered the efforts of affiliate marketers promoting tier one Internet casinos, including Roxy Palace, has become the second affiliate program to be tested and monitored by the independent player protection and standards body eCOGRA. The recently introduced eCOGRA Affiliate Trust Seal awarded to Roxy Affiliates this week recognises affiliate operators that observe best practice standards of fairness and efficiency in dealing with affiliate marketers. The seal is awarded contingent on the applicant company meeting defined professional standards and undergoing a comprehensive on-site inspection and audit by an eCOGRA compliance team. Among the criteria for accreditation, applicant programs must show that affiliate revenue is calculated fairly and accurately, that payments are prompt, and that there are appropriate controls in place to accurately link players to affiliates. 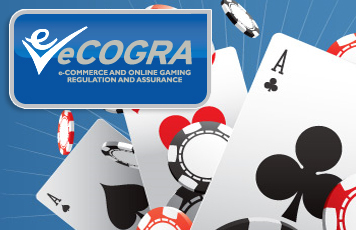 Although there are others monitoring affiliate programs, eCOGRA provides the most public, structured and formal on-site approach and ensures adherence to consistent standards through regular monitoring and full annual reviews carried out by qualified inspection and auditing teams. “We have a number of other programs under review, and since awarding our first seal to another leading affiliate program last year there has been considerable interest and feedback regarding the eCOGRA standards and certification process,” he added. Sophie Guédon, Affiliate Program Manager at Roxy Affiliates, said the award of the Affiliate Trust seal was an affirmation of the program’s commitment to operational efficiency and integrity. Roxy Affiliates has been operational for over seven years and was among the first to focus on EU markets, creating a strong position in the main European markets. The company offers its services to affiliates in eleven languages, with promotional programs for well established and top-rated online casinos licensed in Malta and powered by Microgaming. It is an active member of the Gambling Webmaster Portal Association (GPWA).